It’s a significant anniversary this week for Cunard flagship Queen Mary 2, celebrating her 10th birthday. There won’t be much of a party when the ship returns to Southampton on Friday – that’s being saved until May. But it would be unfair to let the event go unmarked, so here’s a compelling collection of facts, figures and statistics. Since her spectacular naming by Her Majesty The Queen on January 8, 2004, Queen Mary 2 has undertaken a total of 419 voyages including more than 200 Transatlantic crossings. Cunard maintain she is the world’s largest, longest, tallest, widest and most expensive ocean liner (as opposed to cruise ship) and the most famous and fastest passenger ship in operation today. She has called at 182 ports in 60 countries and carried more than 1.3 million guests. As well as human passengers, she has carried more than 2,000 dogs. At 1,132 feet in length Queen Mary 2 would be taller, if stood on her stern, than the tallest building in Europe, London’s Shard, and she has more than four times as many rooms as the Dorchester hotel. She took a million hours to design, eight million hours to build and the one thousand miles of welding holding the ship together would stretch from London to Moscow. In her first ten years of service she has sailed the equivalent of three times to the Moon and back. The crew has served over 58 million meals and the 21.9 million cups of tea served on board would fill an Olympic swimming pool three times over. 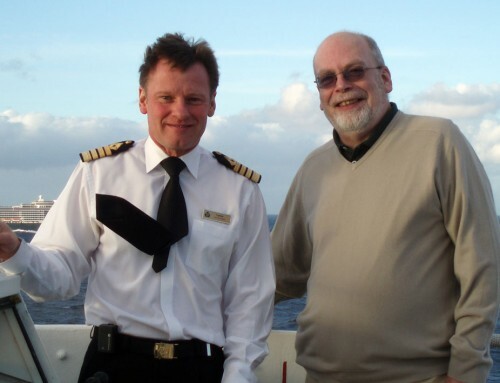 Cunard’s passengers have enjoyed almost 8,000 guest lectures, the equivalent of nearly a year’s continuous radio broadcasts. And they love to celebrate on board too: getting through one and a quarter million bottles of. Queen Mary 2 will depart on her eighth world cruise on Friday, when she and Queen Elizabeth sail together from Southampton after a fusillade of celebratory fireworks. 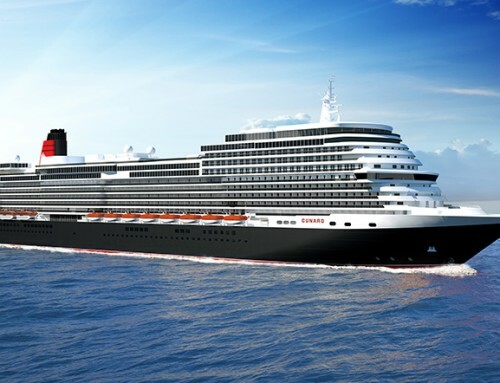 The major 10th Anniversary celebrations will begin on May 9, when all three ships of the Cunard fleet will arrive together in their home port of Southampton. 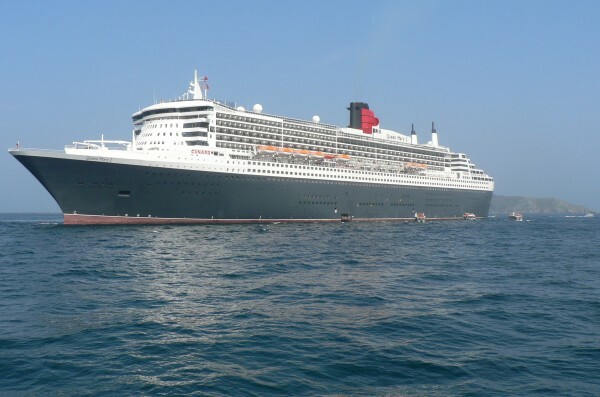 The day will feature special sail-pasts, a celebratory lunch and a spectacular send-off of fireworks as all three ships set sail together from Southampton that evening, with Queen Mary 2 leading the way.